I met Alice and Joseph few times before the wedding day. The most interesting meeting was unconventional pre-wedding session with a parrot. The unpredictable spring weather was changing each day before wedding so we couldn’t expect some nice conditions. Even outside ceremony was moved inside that day, but it didn’t take away anything of wedding joy. 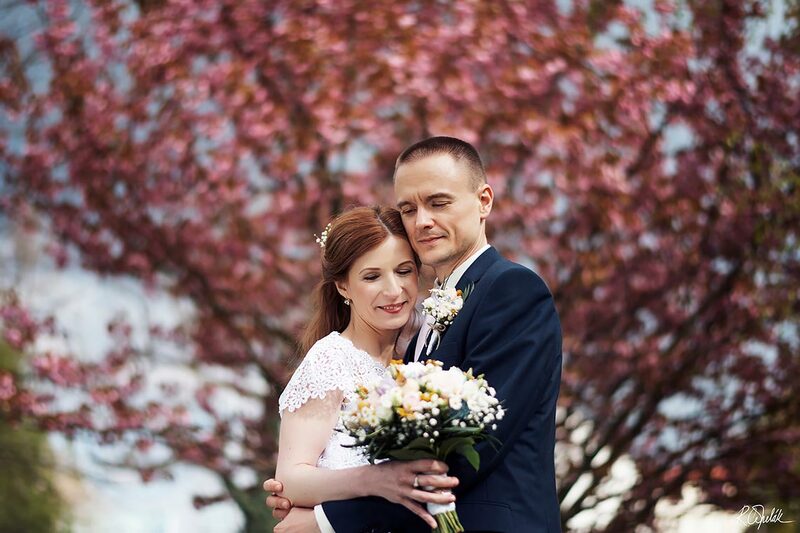 Alice and Joseph chose venue surrounded by golf – Yard resort in Predboj. End of the ceremony was spiced by breathing orchestra and I should also mention really nice and untraditional bridal wedding bouquet.